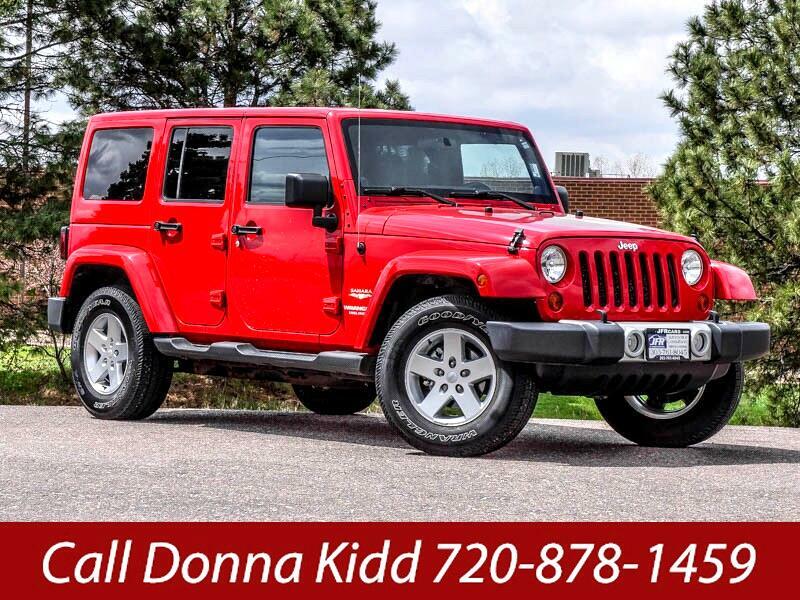 Used 2011 Jeep Wrangler Unlimited Sahara 4WD for Sale in Littleton CO 80120 JFR & Associates, Inc. This no-nonsense Wrangler remains an American icon when it comes to off-road ability. According to CARFAX, this Jeep Wrangler (with lower than average miles) has a clean history report; no accidents or damage reported. When it comes to off-road situations, the Jeep Wrangler is pretty much unstoppable. On weekends this Jeep loves playing on the dirt trails and getting dirty. You'll find this Wrangler is exceptionally fun to drive around the city when it's not out playing in the mountains. The interior of this Wrangler is built for playing outdoors. It's meant to be driven through the dust and dirt, and then it can easily be cleaned afterward. The cabin has an organic look and feel to it with a well laid out dash where the controls and gauges are easy to use and reach. This Jeep Wrangler comes with a variety of options like a Removable Hard Top, aux audio jack, CD player, remote ignition, steering wheel mounted controls, Subwoofer, tilt wheel, running boards, plus lots more to make your driving experience more enjoyable. You are cordially invited to take this built for fun Wrangler for a test drive and discover for yourself why this SUV is so popular. Contact us today and schedule your test drive.